This Tower is one of thirteen watch towers built by Grand Master de Redin between 1658 and 1659. These watch towers were not designed to resist an invading force, but primarily to provide an early warning system of attacks by pirates and other raiders. This replaced the tradition whereby farmers manned sixty lookout posts after a day in the fields. The watch towers all have a similar plan consisting of two floors with a turret on the roof. Ghallis Tower is about 12m high and has a 9m square base. The walls consist of an inner and outer skin of masonry with a solid gravel infill. The external wall is made of coralline limestone (tal-qawwi) which is weather resistant and the inner wall is globogerina limestone (tal-franka). These watch towers were manned by the Dejma, a local military corps, with four men in each tower. On sighting the enemy they waved a red flag by day or lit a bonfire by night to communicate a warning signl from one watch tower to the next and on to Valletta, from whence reinforcements would be dispatched. 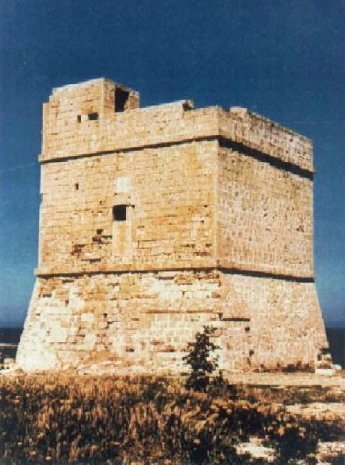 The system worked well at first but enthusiasm must have waned because by 1681 these watch towers were in a deplorable state and the Universita’ were asked to pay for their upkeep as coastal defences were not the direct responsibility of the Order. During the British administration modifications included opening a doorway at ground level and the insertion of roof slabs. 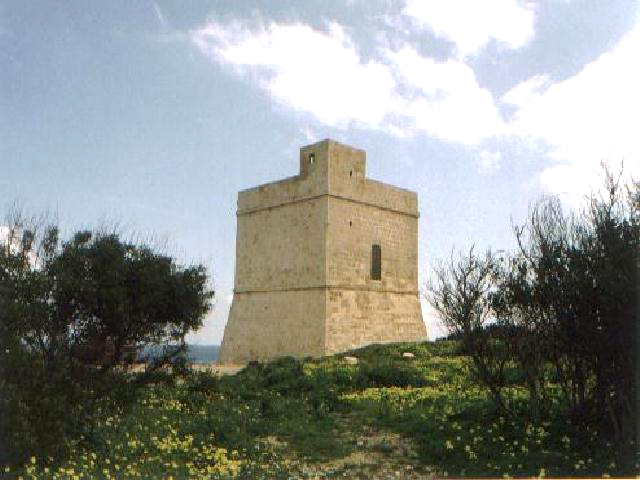 The restoration of Ghallis Tower commenced in 1995 and was completed in November 1996, was sponsored by the Mizzi Group. External plaster, cement and weeds were removed from the walls, as well as the soot from the internal walls which had accumulated as a result of frequent fires lit in the Tower. A considerable area of stonework had to be replaced. This entry was posted in Heritage Sites managed by Din l-Art Helwa by George. Bookmark the permalink.